You may be wondering what the difference is between making up a design yourself on Microsoft Word or Publisher in comparison to hiring a logo designer. I could explain to you how by hiring a logo designer you are ensuring that the nature and customers of your business is thoroughly researched, however instead of simply telling you the differences I thought it would be best to show you by demonstrating the rebranding process of my own business. I hope by viewing my rebranding process, you are able to gain insight into the many phases a logo designer takes when executing a branding project. 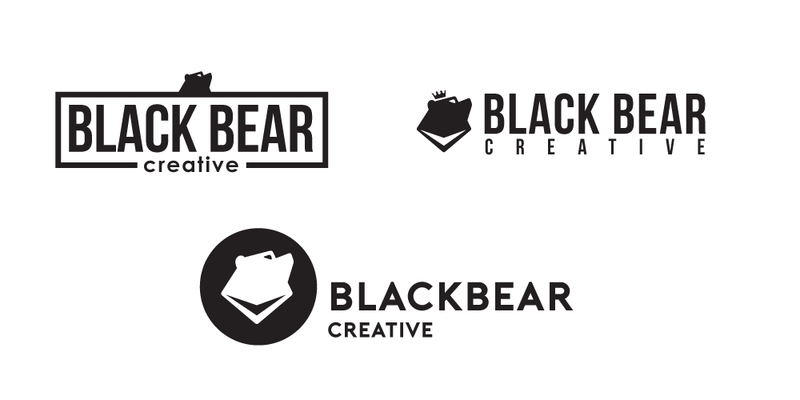 To start, let's take look at the 4 phases Black Bear Creative has taken to successfully rebrand its own business. The process was broken into 4 phases. This phase requires knowing all the problems the previous brand identity had and its effect on my brand image. Which will allow me to create clear objectives for this rebranding project and figure out the new direction I wanted to take my brand image. The main issues were that the old branding had a lack of imagination and the text size of “creative” was too small and thin which came apparent when minimised on screen and in print. 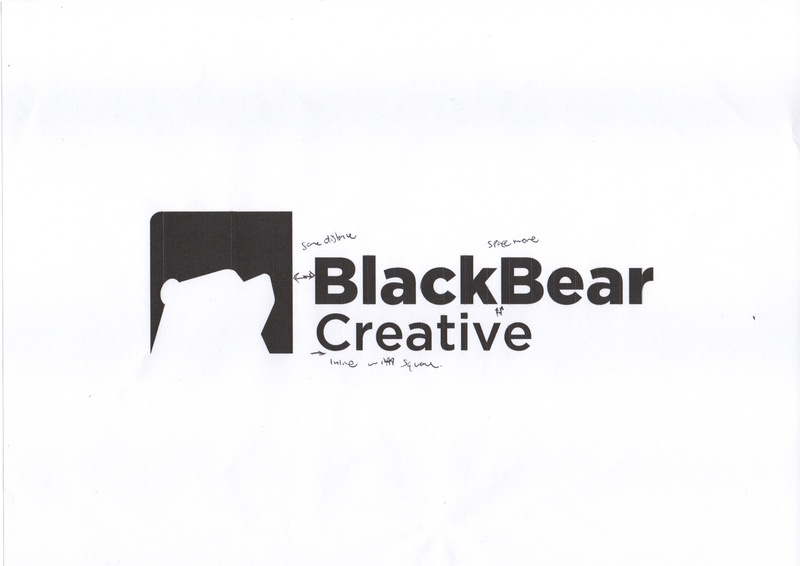 It just didn’t convey the message of what Black Bear Creative was all about. Find the problems with the current logo. Create clear project objectives and a clear brief. Research my target market (who are they, what do they do, what do they like). 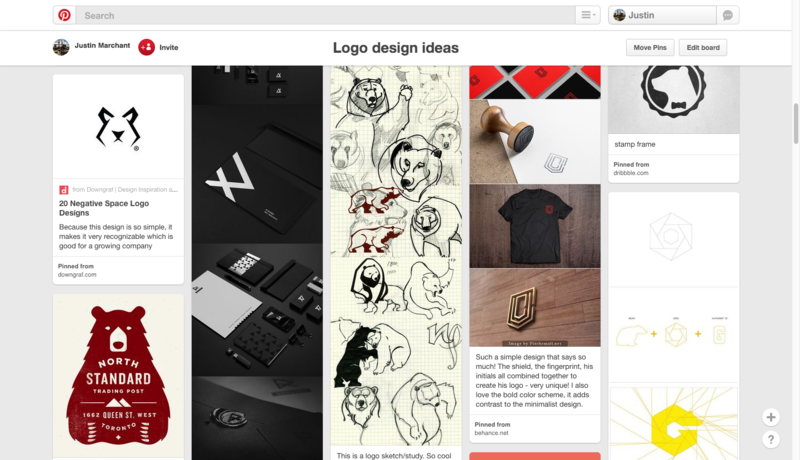 Find inspiration from competitors or brands that use similar elements to create something new and inspiring. Sketching, Sketching, Sketching… oh and more sketching. 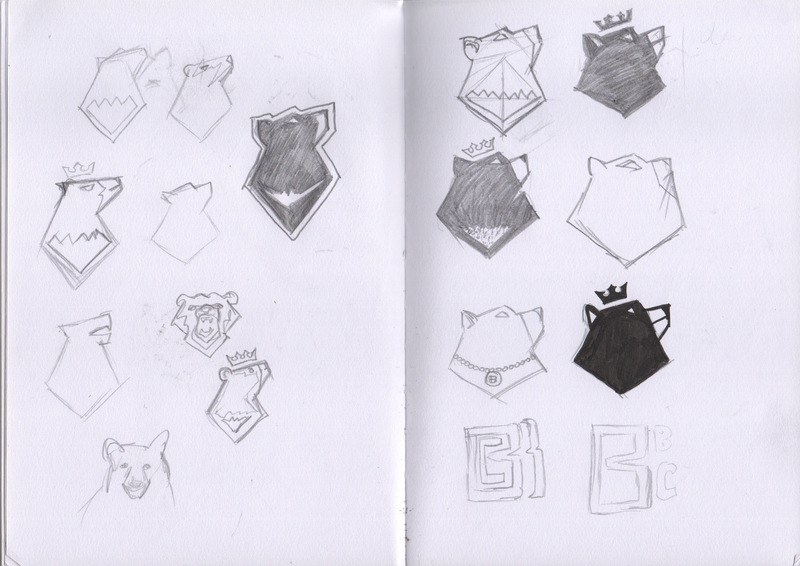 My note pad and grid paper were covered in concept sketches, which don’t look like much but were necessary in order to explore and find the right direction for Black Bear Creative. 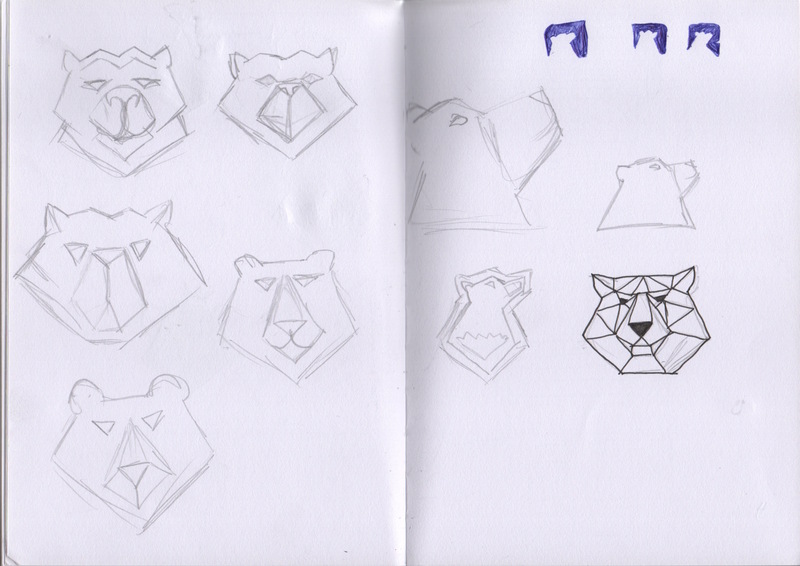 I explored the concept of a bears face, logotype and geometrical shapes to simplify the branding all together. I was stuck on one idea of the side profile of the bear and was adamant that was the right direction to go with. So I took a step back, gone back to my sketchpad and squeezed some more ideas out. By doing this I had my eureka moment, and went away from my original direction and simplified the side view of the bear, by making it a silhouette using negative space to make the viewer focus on the name “Black Bear” and use the bear as subtle visual cue. After I finally decided on what direction I wanted to go with I refined the final design by tweaking the letters (kerning) making sure all the spacing between them was equal and making sure the height of the L and the K were the same height as the other letters, keeping everything consistent. Create concept sketches (which ended up to be over 50 concept sketches). Find correct design direction that solve the problems in the brief created in phase 1. Refine logo to work in black and white. ‍Go through colour choices, find complementary colour palette. Kern letters and refine spacing between letters and elements. During this stage I did my entire preflight logo checklist. ‍Does logo work in black and white? ‍Can it be legible when minimised and how small can it reduced too? Create white version for black backgrounds. ‍Create style guide, which demonstrates what fonts, complementary colours can be used with it. ‍Colour profiles for CMYK and RGB. Create all file types needed for web and print. Phase 4 - Outcome evaluation. Once I was happy with the final product and received feedback from my peers within the industry, I was confident to roll my new branding out for my digital marketing strategy. After monitoring the launch of the website, networking with people, there has been nothing but good feedback and I feel that Black Bear Creative is now being seen at as a fresh, innovative, creative business willing to go away from the normal to create amazing brands and designs for our clients. If you feel like taking your brand on a journey with Black Bear Creative, drop an email at Justin@blackbearcreative.com.au and let's discuss the possibilities your new brand identity can take you.